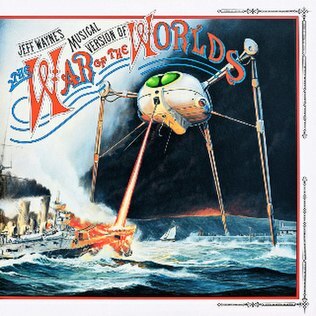 Last night I went to see this - Jeff Wayne’s musical version of The War of the Worlds, based on the book by H.G.Wells. You can read all about the original 1978 concept album here. The show was a faithful rendition of the album with all live performers, many of them from the original album, band and full string orchestra. Even Richard Burton made an appearance as a computer generated animation lip-synched to his original recording. So, how was my second trip to The O2 (to see Madness last week - fun, but they’re clearly getting a bit old) in just over a week? Select: A Night with Mark Titchner was part of this Friday’s Late at Tate Britain night. The theme of the presentation was “the psychology of excess, control and altered states.” - sounds like a pretty normal Friday night, then. You can read about Mark Titchner here and here. It’s been a busy weekend. I’ve been out for each of the last four nights and each of those nights has involved loud music and staying out late. This picture is from Friday’s Mobile Clubbing event which was held at Tate Modern. Mobile Clubbing is a bizarre experience which involves turning up at a pre-arranged time and place (pre-arranged via the internet, of course!) and dancing to your personal stereo, along with a horde of strangers. The Turbine Hall of the Tate Modern was a perfect venue for this. Even the artwork currently on display conveniently allows plenty of room for people to dance around in the open space. And speaking of the “artwork” … I guess it is pretty much obligatory for me to offer my comment. Being fair, the hall was very busy when I got there, so I couldn’t really take in the awesome wonder of a hole in the ground all at once. Being realistic, though, it is a hole in the ground. Neat idea with the name, though - Shibboleth. Only this time I think the Shibboleth is meant to flush out pretentious art critics and not the Ephraimites. Sometimes it seems like you just can’t keep me away from Thorpe Park. You can read about previous visits here and here. Flying Fish isn’t the wildest ride in the park, so I was able to get a couple of on-ride shots like this taken at arm’s length. It isn’t the best picture in the world, but I include it for historic reasons. It is the first picture of me for a couple of years where I don’t have a moustache. Haven’t decided if I’m going to stay that way yet. Happy Memories! My friend Eva took me to see Brett Anderson, former lead singer of Suede performing live at Shepherd’s Bush Empire. For me, Suede’s highpoint was the album Dog Man Star which was released in 2002. So, not exactly a bang up to the minute band, then. You are currently browsing the archives for the Gig-Listed category.